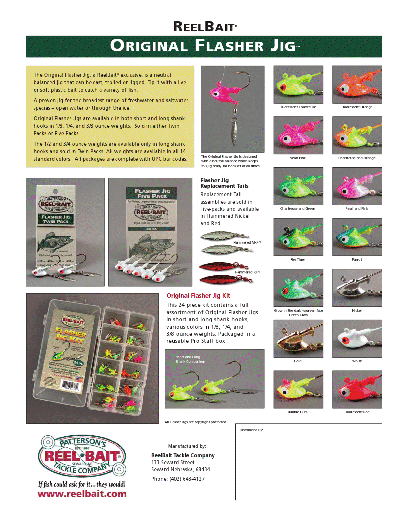 In 2012 ReelBait was named Best Walleye Lure By Outdoor Canada Magazine (Gord Pyzer). For a short time ReelBait Tackle are in a the Lovey Dovey Mood and are offering a SWEET deal for EVERYONE!!!! Check this out and get your tackle box full of some Fergie Spoons, Prototype Spoons, Flasher Jigs and tons of other great products from ReelBait Tackle. You can get your Sweetheart of a Deal "Valentines Special by placing your on-line orders at www.reelbait.com and use Promotion Code: Al 10 you will receive a 10% discount off of for all your retail orders. Don't miss out. Tie one on and see why they were named Best Walleye Lure in 2012 by Outdoor Canada Magazine. They are also great for Bass, Pike and Trout. Check out my pior articles on using them here on the WFN. Don't miss out on this great offer, orders yours today.